GAME OF THRONES - Watch the fantasy phenomenon, Nine noble families fight for control over the mythical lands of Westeros, while a forgotten race returns after being dormant for thousands of years. STELLAR CAST - Starring Sean Bean, Emilia Clarke, Peter Dinklage, Sophie Turner, and Kit Harington. AWARD WINNING SERIES - Winner of a Golden Globe and 12 Primetime Emmys. SERIES ONE-THROUGH SEVEN - Every episode on 7 discs. Runs 63 hours. Region 1 coded (US & CANADA). 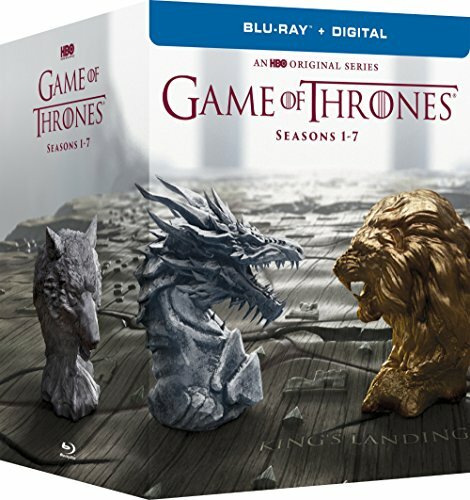 A GREAT GIFT - Get it for the Game of Thrones fan in your life. If you have any questions about this product by WM PRODUCTIONS/WARNER, contact us by completing and submitting the form below. If you are looking for a specif part number, please include it with your message.